Applicants will be considered on a first come, first served basis through Friday, February 15, so be sure to apply at your earliest convenience for your best chance of acceptance! Recipients will be notified on or before February 22. 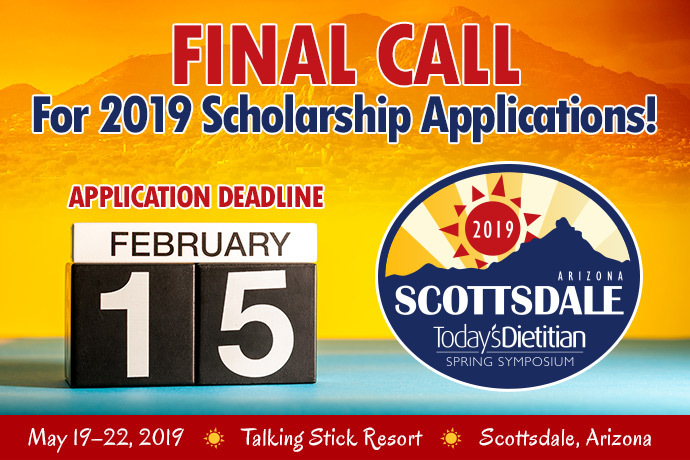 Visit TodaysDietitian.com/SS19 to apply before our February 15 deadline!